Ocean Optics is the global Leader in optical sensing technology, offering a wide range of spectrometers and optical spectroscopy tools for virtually every application. Zolix was established since 1999 and has been a leading global supplier of opto-mechanics and spectroscopy in China. They have strong R&D, Production, Sales, and Service team with many years experience of industry knowledge and expertise across a broad range of technologies. Our products has been exported to worldwide:Europe,USA,India,Southeast and more than 50 countries. Browse all Becker & Hickl products here. Founded in 1993, Becker & Hickl have introduced a proprietary time-correlated single-photon counting principle that made TCSPC more than 100 times faster than the existing devices. Moreover, bh introduced a multi-dimensional TCSPC process that records the photons not only versus the time in the signal period, but also versus other parameters, such as experiment time, wavelength, or spatial coordinates. The bh devices are designed to record multi-dimensional photon distributions, time-resolved images, sequences of photon distributions, or multi-dimensional time-tag data. 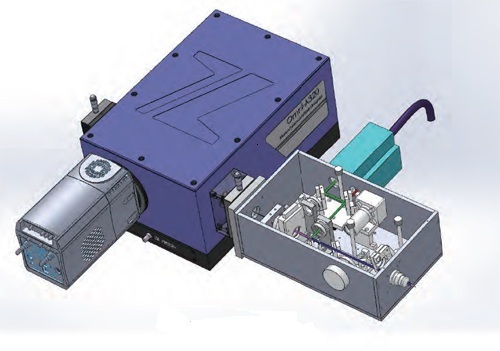 Ondax, Inc. is the market leader in the design, manufacture and marketing of high-performance holographic optical filters, wavelength-stabilized laser sources, and high-performance, THz-Raman® Low-frequency (Low-wavenumber) Raman Spectroscopy Systems for a wide range of industrial, scientific, defense and consumer applications. Our core technology is state-of-the-art Volume Holographic Gratings (or VHGs, also known as Volume Bragg Gratings or VBGs) – which are specialized optical filters fabricated from proprietary photosensitive glass. VHGs are exceptionally versatile optical components that provide wavelength stabilization, spectral and temporal control for lasers/laser-based systems, and dramatically enhance the optical performance and resolution of spectroscopy systems. Our products enable our customers to make their lasers and optical systems, smaller, more portable, more efficient, less expensive and more environmentally stable and robust. 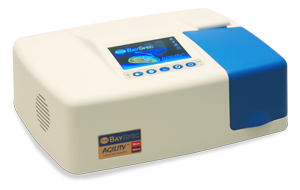 BaySpec, Inc., founded in 1999 with 100% manufacturing in the USA (San Jose, California), is a vertically integrated spectral sensing company. 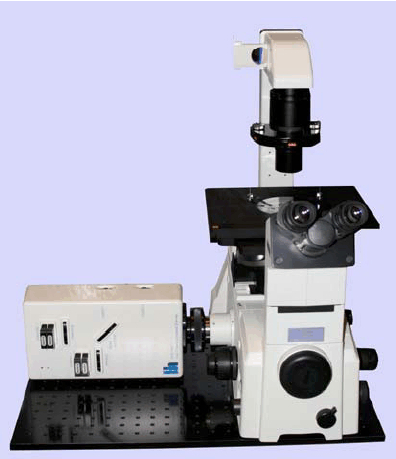 The company designs, manufactures and markets advanced spectral instruments, including UV-VIS-NIR-SWIR spectrometers, benchtop and portable NIR/SWIR and Raman analyzers, confocal Raman microscopes, hyperspectral imagers, mass spectrometers, and OEM spectral engines and components, for the R&D, biomedical, pharmaceuticals, chemical, food, semiconductor, health monitoring, human & animal medical devices, and the optical telecommunications industries.